Cross Counter powered home to win the Melbourne Cup at Flemington in November and his trainer Charlie Appleby has revealed plans for the lightly raced stayer to make his first appearance of 2019 in the Group Two Dubai Gold Cup on March 30. “Cross Counter has come back from Melbourne stronger and brighter than ever, and he has put on 25 kilos in body weight,” Appleby said on Godolphin’s website. “After discussing his program with His Highness Sheikh Mohammed, we have pencilled in the Dubai Gold Cup as a starting point for 2019, and we will see where that takes us. A defence of the Melbourne Cup is among options for Cross Counter. 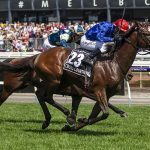 “A defence of his Melbourne Cup crown is an obvious long-range target but we know he will be getting a lot more weight this time,” Appleby said. The 2019 Dubai World Cup will take place on Saturday, 30th of March. Despite several weeks still to go before the richest race in the world is run, the buildup is growing. On the 3rd of January, the 16th annual Dubai World Cup Carnival kicked off. The event is the lead up to the World Cup which takes place at Meydan Racecourse in Dubai. 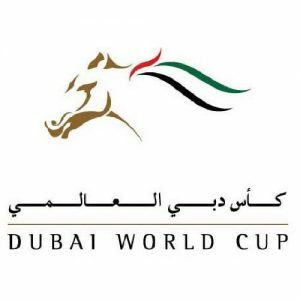 Horse racing fans can learn more here about the 2019 Dubai World Cup. While the World Cup winner will take home $12m, the event’s total prize money has been increased to an astronomical $35m. The 2019 running of the Dubai World Cup could make or break a jockey’s, trainer’s, or horse’s career. Preparations are ongoing as the big day is just around the corner. 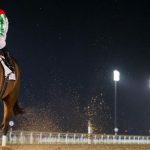 The Dubai World Cup Carnival emerged from the gates in early January with over 200 runners from around the world battling it out for a piece of the $12.6m prize money. The carnival will see 10 race days. Nine of the race days will take place on consecutive Thursdays at Meydan Racecourse, while the 10th will be run on Super Saturday, 9th of March. Super Saturday has become the traditional “dress rehearsal” for the Dubai World Cup. It gives horses, jockeys, trainers one last tune-up before the world’s richest horse race. This year’s Dubai World Cup Carnival sees 71 trainers from around the globe taking part. The international trainers are up against local trainers and horses with famed Dubai-based horse training team Godolphin overseeing the events. The Dubai World Cup odds are already being tabulated by the world’s leading bookies. Whether these horses will make the elite race on the night remains to be seen. Thunder Snow is the early favourite for the World Cup. Leading sportsbooks have Thunder Snow at odds of 7/2 with weeks still to go until the race’s running. A Godolphin owned horse, Thunder Snow won the 2018 edition of the Dubai World Cup. Thunder Snow is aiming to be the first back to back competition winner. Five-year-old Winstar Farm-Chinese Horse Club horse, Yoshida, is 8/1 to win the richest race in the world. Yoshida won two of his five races in 2018 with wins at Churchill Downs and Saratoga. The Japanese-bred horse finished fourth in the Breeders’ Cup Classic, increasing hopes he can win the Dubai World Cup. McKinzie was trained by legendary American horse trainer Bob Baffert and has early odds of 10/1 to win the World Cup. Baffert has stated McKinzie has the make-up of a Dubai World Cup winner. The trainer should know about winning the event as he has won it three times. Baffert won the Dubai World Cup in 1998 with Silver Charm and again in 2001 with Captain Steve. After 16 years without a win at Meydan, Baffert reached the winner’s circle a third time in 2017 with Arrogate. McKinzie has won five of his seven career races. The Dubai World Cup will see the best of the best in horse racing descend on Meydan Racecourse in late March. The richest horse race in the world will see another name etched into history as they take home the largest purse in the sport.